This type of link allows the developer to create a link from a grid to a form with the objective of editing the register of a grid’s row. 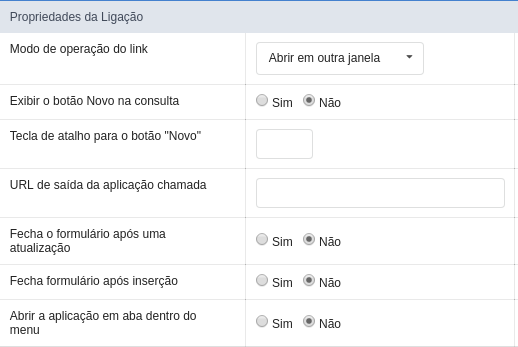 In the link options, we will choose the Application Link. When we choose this option, edit a register from a Grid will be possible. 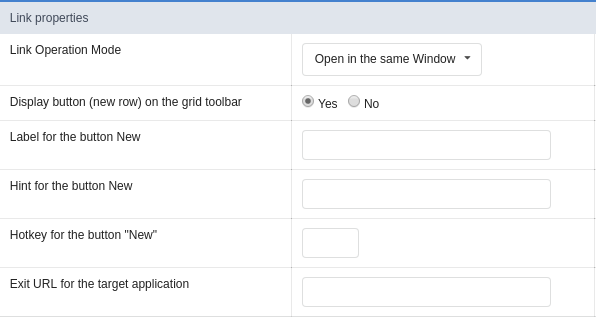 When we use this option the target application will be displayed in the same window of our application, however it will be displayed in a iframe in one of the four options available in the iframe’s settings. 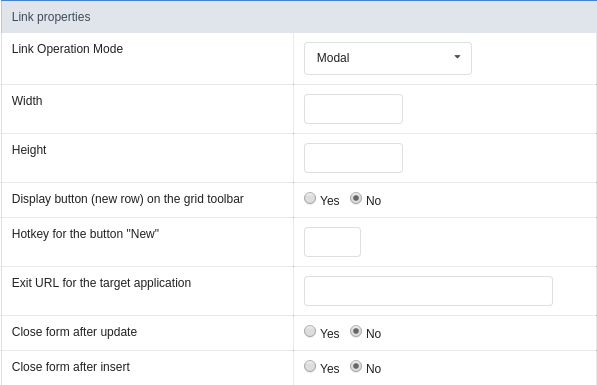 When we use this option the target application will be displayed in the same window of our application, and the target application will have a back button so we can return to the previous application. Open in the same window. In this option we will inform a name for the button that will be displayed in the Grid. In this option we will inform a message that will be displayed when the mouse cursor is over the New button. Indicates the shortcut key to the button add new register. In this settings, we can define some iframe’s details that will display the target application. 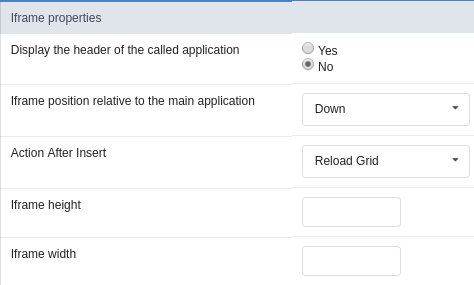 When the option Yes is selected, the header of the target application is also displayed in the iframe. Below: The iframe will be displayed below the main application. Above: The iframe will be displayed above the main application. Right: The iframe will be displayed on the right of the main application. Left: The iframe will be displayed on the left the main application. 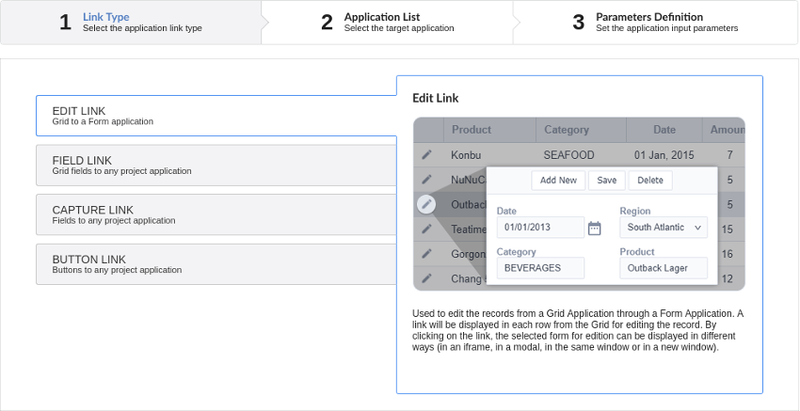 Reload the grid: The current page will be refreshed after the insert. Move to the end of the grid: After the insert will be displayed the last page of the grid will the last register inserted. Allows to set the iframe’s height. Allows to set the iframe’s width.